Russ Urban who died tragically in November, 2010, in an airplane crash, was a long-time supporter of teaching inner city youth to swim. As a way of honoring Russ’s work, his wife, Judy, has been annually sponsoring the Russ Urban Memorial Water Safety Program for our cadets. The youth, ages 9- 20, are members of The LAPD Pacific Area Cadet and Junior Cadet programs. The Junior Cadet program has been created to help boys and girls ages 9 – 12 develop a positive relationship with law enforcement officials. The Cadets program which introduces basic law enforcement concepts and techniques develops leadership and discipline in young people between the ages of 13-20..
LAPD Officer Kristan Delatori, has been in the LA Police Department for over 15 years and has an active participant and advocate for the Cadet Programs. She, along with her partner Officer Darrell Matthews, initiated the Swim Program in 2007 when she learned that over 90 per cent of their junior cadets could not swim and most had no family members who could swim. Her research turned up some startling facts.The Centers for Disease Control and Prevention (CDC) estimated that nine people die from drowning in the United States every day. Among ethnic groups, the CDC reported, African-Americans have the most limited swimming ability and noted that 56 percent of Hispanic children were non-swimmers. “If this were a disease, this would be an epidemic,” said a spokesman for the group. “We see this disproportionate number of drowning because generationally those parents and grandparents did not have the opportunity or access to quality swim programming,” he said. “As a result they didn’t pass it along to their children.” Many children are taught to stay away from the water altogether and this creates a barrier of fear so they won’t even go to the pool or go to the beach and are petrified of the water. Each summer the learn-to-swim program that started on June 29, 2011 continues to begin in late June and runs for six weeks, ending early in August.. Cadets of all ages complete a six week water safety program working with the LA County Lifeguards utilizing the Venice High School pool. Community relations officers are at the pool with the youth cheering them on. The swim program ends with a graduation party each year. at a local water park of some nature, offering them some loose FUN in the pool as well as some great free swimming. The first graduation was held on August 17, 2011, a very special day as this is also the wedding anniversary of Russ and Judy’s wedding. Ensuring that all children are “drown-proof” was a long-time dream of Russ’s and now, each summer that dream comes closer to being a reality! If your child is interested in learning to swim through the Cadets Program, contact Officer Darell Matthews, Community Relations Liaison Officer, at 26583@lapd.online to learn more about the water safety program and other youth activities. 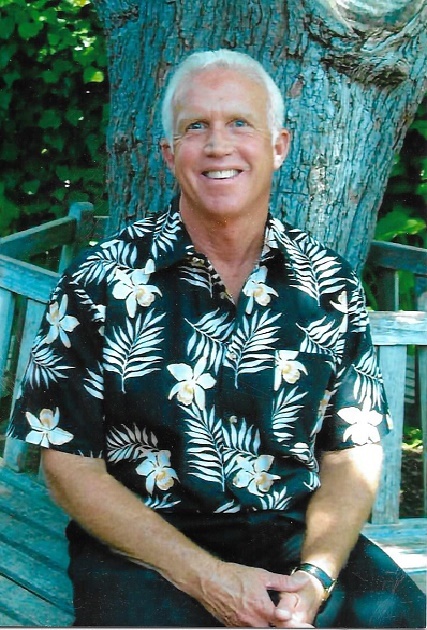 Russ, a long time resident of Palos Verdes, died on November 21, 2010 in a tragic plane crash. Born in Tokyo, Japan on May 24, 1947, Russ attended Palisades High School in Pacific Palisades, received a BA degree in Political Science from University of California at Santa Barbara, a teaching credential from Cal Poly San Luis Obispo, and a Masters of Education from California State University at Dominguez Hills. A passionate environmentalist, Russ was an avid surfer, swimmer, snorkeler, runner, and recycler. He wanted everyone to know the importance of recycling and saving the planet for future generations. He taught for thirty four years in Palos Verdes, at Point Vicente, Silver Spur, Lunada Bay, and Cornerstone Elementary schools. He was a bachelor until he met Judy, his soulmate. After a twenty year courtship they were married in August 2003 at the Neighborhood Church on the Palos Verdes Peninsula. A lifelong humanitarian, Russ would collect shoes, clothes and toys and deliver them to needy children and their families in Tijuana and Ensenada. In his 63 years he touched countless lives with his warmth and generosity. He is survived by his beloved wife Judy, his step-daughter Dayna, his parents John and Barbara, a brother, a sister, and two nephews. His body was cremated and his ashes returned to the ocean he so loved.